Do you or a loved one have missing teeth? An estimated 178 million people in the U.S. are missing at least one tooth and 35 million Americans don’t have any teeth. Missing teeth can lead to nutritional changes, obesity, diabetes, coronary artery disease and some forms of cancer. But, with reconstructive dental treatment you can have a healthy, happy smile once again. Dr. Schilt has specialized training and expertise in treating patients who need reconstructive dental treatment, including oral surgery, tooth extractions, dentures and dental implants. If you need the best Cosmetic dentistry Springfield Oregon has to offer, call us today at 541-736-0044 to schedule an appointment to discuss your treatment options. Dr. Schilt and his team at McKenzie River Dental provide dental implants customized to fit your needs. Dental implants take the place of roots that support crowns, bridges, and dentures. 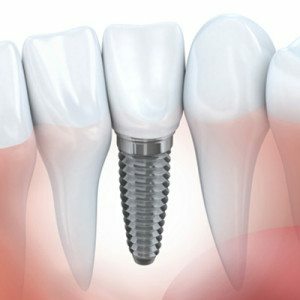 Made of titanium, dental implants are surgically placed into your jawbone and acts as an anchor for a crown or denture. Dental implants look natural and are highly functional. They tend to feel better and more stable than dentures and removable partials. Best of all, they will last a lifetime if properly maintained. A dental implant requires no alterations to the adjacent teeth. Regular oral hygiene is required for implants to stay clean and healthy. It’s also important to regularly visit McKenzie River Dental for routine follow-up appointments and cleanings to keep your new smile healthy and bright! Mini-implants are placed in a similar fashion, taking the place of the roots of teeth. 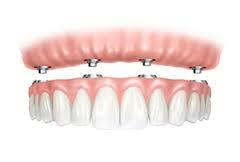 The mini-implants, however, are used in conjunction with dentures, crowns and bridges. 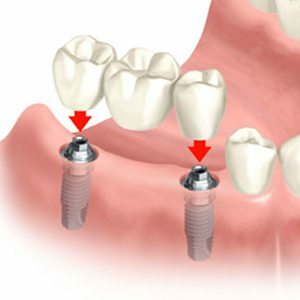 This system involves implants with round heads that fit with specially made dentures that are able to rest on gum tissue and stay in place. The result is a more stable and functional smile. The result is a tight fitting, completely reliable system that allows a patient to speak and eat with confidence. Mini Dental Implants can provide support for several years, and can be used with full sets of dentures or in single tooth replacements involving crowns and bridges. Placing mini dental implants is relatively painless and requires only local anesthesia. The Mini Dental Implant has proven to be a satisfying solution for denture-wearers.